Spirit leads us in strange ways. Let me share a story to illustrate. When I was a little girl, I wanted a microscope set and a dissection kit. Instead, I kept getting dolls. I hated dolls. I didn't like their eyes. They scared me. So I blindfolded them and put them in the back of my closet where'd I'd never see them. I continued to ask for a microscope set and kit. But whenever I'd ask, my mother would say, "Go play with your dolls." "No," I finally said. "I gave them all away." "I gave them all away. I didn't like them," I asserted. Mother took a long drag from her cigarette to calm herself. "Well, you're not getting a microscope." I went into the woods to explore and stumbled upon two dead muskrats, side by side. I had always been a curious child, wanting to understand how things worked. Seeing those two muskrats made me want to know why they died. I laid them out on my mom's new picnic table, took needles and scissors from her sewing basket, and grabbed a filet knife. Never having done a dissection before, I approached it with care and respect. I wanted to know how their insides were put together and how this thing called "life" worked. And what better way to study life than to study death? Victor Frankenstein, eat your heart out! When I got my ungloved hands inside, I suddenly felt deeply connected to something much bigger than myself, though I couldn't explain it at the time. Everything seemed connected; I saw myself in those muskrats and I saw them in me. I felt life pumping through me from everything around me, like I was touching a giant heart in the Universe, yet feeling that I was somehow that heart. But when I heard the strained squeak of the screen door behind me, the life went out of me. Uh oh. The sound of trouble. There I stood, my hands tangled in ten feet worth of intestines, as my mother gasped in horror. "Why can't you just be a normal little girl!" I was punished and forced to dispose of the remains, which I later retrieved in secret to give them the proper burial service they deserved. I prayed, "God, please accept these muskrats into heaven. Amen." I covered them gently and placed lilacs on their graves. God had two new playmates in heaven. I finally got that microscope set. I don't know why Spirit put me on such an unusual path of exploration at that time. But I was determined to get that microscope set. And nothing was going to stop me, not even being punished. I didn't want to be normal. I didn't like it. Normal just didn't fit. It seemed so confining and unnatural. When I got my way, it really wasn't about getting my way. It was about honoring something deep inside of me. Spirit will lead us down some unusual paths. That's just how Spirit works. We don't always know where our paths will lead, but that is the beauty of it. It's an adventure. It's a love affair. It's something that can't -- and won't -- be ignored. The direction of our paths, no matter where they begin, will change and evolve as we grow, as we learn, as we experience life. Our paths evolve with us as we evolve on our paths. 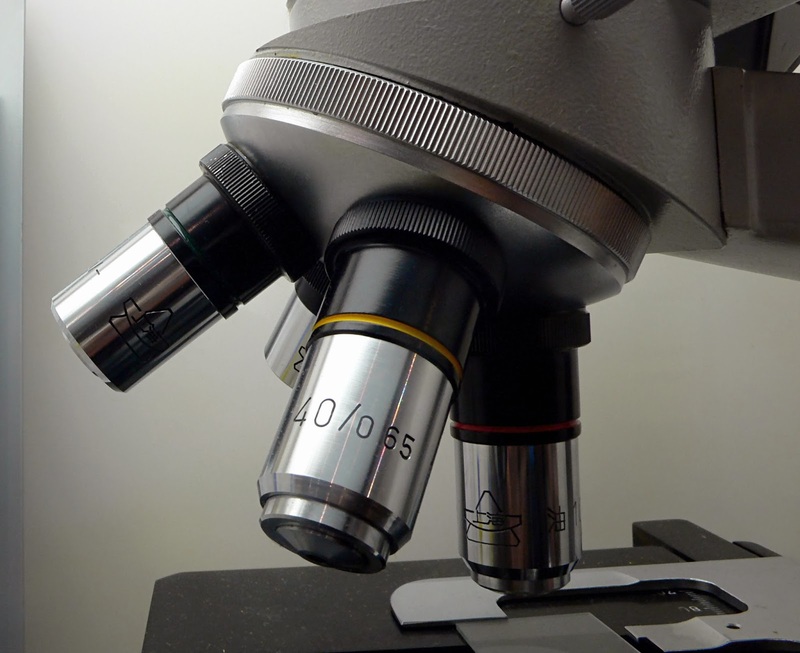 When we put our lives under a microscope, we begin to examine the deeper questions of life. That's because deep down inside we want to connect, and we have to dig deep into the guts of life, of ourselves, to embrace and honor that sacred connection. What is your path teaching you? In what ways has Spirit grabbed you by the guts? How are you honoring it? Walking the spiritual path is a journey into the unknown. We can have an idea of where we are going, and we can work toward those ideas, but at the same time, great mysteries abound and confound, requiring us to have an abiding respect for such processes. Sometimes we must wait in a state of expectation of things unexpected along the way. Take some time to contemplate mysteries. Vow to respect the complexity and mystery of life. Cherish the baffling, hidden, curious, and enigmatic dimensions of your existence and the world around you. Resist the temptation to ask, "Why?" Create a ritual in which you yield to the "unknowing." Rituals are a wonderful way to reinforce a spiritual practice. Create one that reflects who you are in the Mystery of God. Honor the Great Mystery through this ritual. Perhaps it entails wearing all white or all black to signify your devotion to the mysteries of life. Or, maybe it involves chanting a sacred word that represents mystery. Use your imagination. wow! Really powerful post. 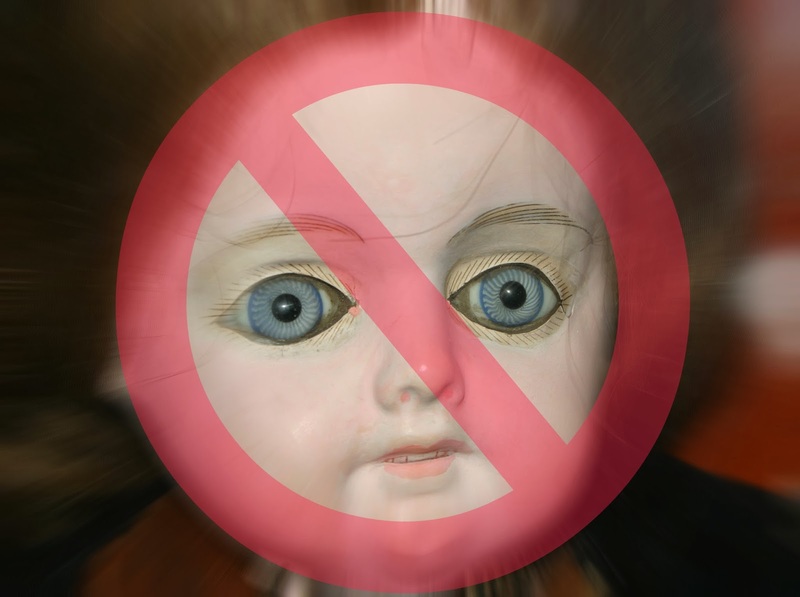 I hated dolls too, and I didn't want to conform to my parents' view of how a girl should behave. I used to give them measles with my mum's lipstick, cut their hair off and hide them in the wardrobe. Eventually they stopped being given as presents, but it took a while. I love mysteries, they're one of my passions, although I've never resorted to DIY dissections ... I am a big fan of rituals too, and will be doing something along those lines next week. Chanting OM has a powerful effect for me. For me OM represents the biggest mystery of all. It is meant to represent all life, all creation. Can't get a bigger mystery than that. I really enjoyed reading your post, thank you. What I didn't mention was what I really did to those dolls...lol...I employed the help of my brothers to wrap them in firecrackers and blow them up! I also played hangman with them by tying them into trees, or setting them on fire. I, too, love mysteries. I find them so alluring, and that's probably the one quality of Spirit that attracts us so. Sometimes we don't even realize that it is Spirit leading us...at least I didn't when I was a child, but looking back I see that it was. Spirit played with my curiosities. I was chanting today, something I don't normally do, but felt led to do it today. I love how chanting resonates through each chakra. I have Tibetan singing bowl that I sometimes use...pretty powerful. I'm glad you enjoyed this post. Thank you for sharing your insights. I didn't like dolls either when I was growing up! They didn't particularly scare me, I just couldn't grasp the idea of playing with them. It just didn't make sense to me. Lol! Anyway, I remember when I was about five visiting my grandmother who was in the nursing home. She was so excited to give me a present and I was so excited to receive a present. When I opened the big beautiful box there was a big fancy doll inside and I was devastated. I didn't know what to do with it so I immediately put the lid back on the box and said thank you. All I remember was the look on my grandmothers face that day and how much it saddened her that I didn't like my doll. She wasn’t disappointed in me, she was disappointed that her gift didn't please me. That experience has never left me because that was the moment that I truly learned to be thankful. I learned to be thankful because I “felt” my grandmother’s sadness. She was giving me “love” in the “form” of a doll and I didn’t accept it. My grandmother did give me the most valuable gift of my life that day, she taught me how to “feel” love and how to “feel” gratitude. Love isn’t material - it’s energy. It’s not seen with your eyes or heard with your ears, it’s intuitive and felt within your heart. What a wonderful story, Gena. Your grandmother taught you a valuable lesson through her actions. As you said, she gave you love in the form of a doll. Reminds me of the movie In The Gloaming when the son is talking with his mother as he watches his father in the tomato garden. The father doesn't like tomatoes, but the son points out to his mother that he doesn't grow them for himself, he grows them for her...because she loves tomatoes so much. And she never even realized this truth until her son pointed it out...and then he dies in his wheelchair next to her...in the gloaming. Wow. Powerful scene. Anyway, yes, love is not material. It is dynamic and fluid and never ceasing. Thank you again for sharing your wisdom, Gena. Another great post! I truly do not think about the past much at all and then I read something like this, your story, and think of all the "weird" things I did as a child. I think I mostly appeared normal to others. Probably only my mother saw the most of my "weirdnesses". I won't go into them here but it brought a bigger smile to my face and gave me a slight giggle in remembering. When you speak of rituals, I think that is a very good suggestion. Personally, I was raised Roman Catholic and in our small town and church, we had seasonal ritual that were and are quite meaningful to me. Maybe it is because I grew up with them. Maybe it is because my Mom and Grandma loved them so much and they seemed to make them always feels so good. Maybe it is because I can FEEL beyond the ritual to the deeper meaning...Whatever the reason, they are important to me. For the women on my Mom's side of the family, every phase of the year, every season, every life event, large and small, all had some part of it at church. There was (and is) some prayer, blessing, ritual, procedure for everything. Whatever the reason, they bring me much solace and comfort. And then, now, I also have my own rituals, processes and daily "workshops". I always had questions as a child...and the kind of questions I asked weren't typical of a kid my age...it always got me into trouble in Sunday School...I don't know how many times I was told to go sit in the hall! And when I used to ask questions of our pastor, he said, "You are a very peculiar little girl." Ha Ha. That is wonderful about the rituals you shared with the women in your family. And being able to transcend beyond the ritual...what a beautiful experience! Like you, I have my own rituals that bring me comfort and peace. They are symbolic gestures that honor the Divine. Thank you so much for dropping in and sharing your thoughts and insights. Oh God Penny, can't believe you brought those dead muskrats home and dissected them!! There is no natural obvious way of one's life! What you did was so natural to you, from your heart you know it was right! Loved the post! Always follow your heart, that is the right way! Ha Ha, Aditi! My mother still tells that story to people! She shakes her head every time she tells it. But, like you said, I was following my heart. Great post...what is my path trying to teach me? In what ways has the spirit grab me? N how am I honor it? But I'm learning that whatever comes my way I can handle it....I've never known that kind of strength. And I honor it by being grateful of all the good bad n the ugly...the spirit has grab me numerous time....n I have find the strength to get through it all.. Anonymous, we will always be learning on our paths. And if we can help others to learn on their paths, then it's a beautiful thing. When we come from a place of love, we see the good, the bad, and the ugly as the same...all for our higher learning and for our highest good. Then there is no more bad or ugly because it all transforms into good, somehow, some way. The Spirit will not give you anything you can't handle. In all things, be grateful.